Click here to learn about three of our student's experience spending the day at Peralta. 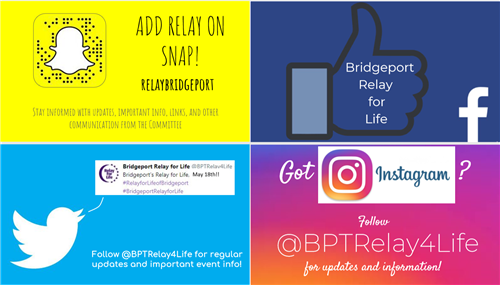 Fairchild Wheeler will be hosting the 5th Annual Relay for Life of Bridgeport on Saturday, May 18, 2019 from 10am - 10pm. Check out the promo video for information about signing up and what we have in store for everyone! Fairchild Wheeler's Early College Experience Program through UConn has the 5th highest number of enrolled students in the state (238 students) and has the 4th most number of credit hours taken (2,0001 hours)! To learn more about UConn ECE, click here to read their magazine. In addition to our SGC & PTSO meetings, every month, concurrent with these meetings (6:00pm-8:00pm), the PTSO and the Gamers Club are teaming up to hold a Gaming Tournament Fundraiser. Bring your children along so they can join the fun! Tickets are $5.00 per person for one tournament (one game), $8.00 per person to participate in two tournaments (two games) and $1 to spectate for the entire evening. Prizes will be awarded to the top competitors! We look forward to seeing you and your child. PTSO is hosting CPR Training! If you are interested in signing up, you can do so by accessing the online sign-up sheet here. Class sizes are limited to 25, so please sign up soon! Students who would like to be placed on the mailing list regarding school service opportunities, please fill out this form. As a reminder, there is a community service graduation requirement. Fairchild Wheeler has been named one of the Top 5 UCONN ECE High Schools in the state with 238 students enrolled in UConn ECE courses! Fairchild Wheeler Campus currently offers twenty six courses for which students can receive college credit. These courses are available to students in all three schools.